I realized that I was, like Ansel Adams to a lesser degree, deliberately removing a lot of the urban and rural clutter that otherwise would have been in the frame. This is probably why I didn't even recognize that I was standing in a scene that I had viewed many times when looking at collections of Ansel Adams photos. 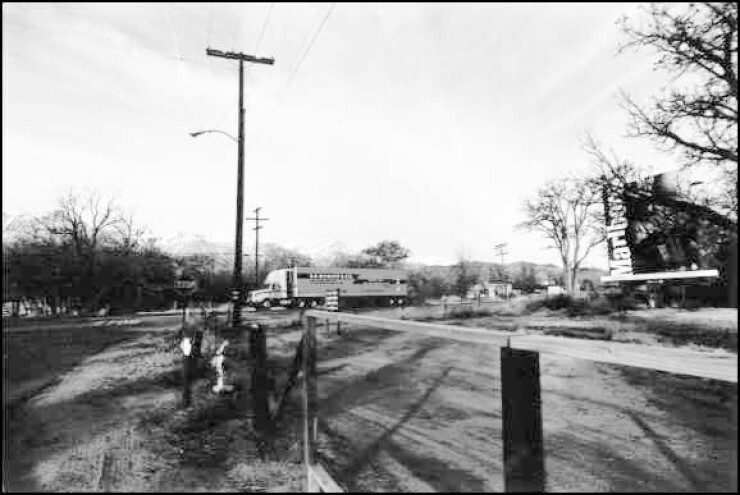 I took a few steps back and took anther photo of Mount Whitney that included a stop sign, fire hydrant, cigarette billboard, a half built fence, power poles and lines, several jetstreams in the sky and an S.E.Rykoff truck on the highway.